July 19, 2017 — Klaus Lackner has a picture of the future in his mind, and it looks something like this: 100 million semi-trailer-size boxes, each filled with a beige fabric configured into what looks like shag carpet to maximize surface area. Each box draws in air as though it were breathing. As it does, the fabric absorbs carbon dioxide, which it later releases in concentrated form to be made into concrete or plastic or piped far underground, effectively cancelling its ability to contribute to climate change. Photo © iStockphoto.com/holgs. Click image to enlarge. 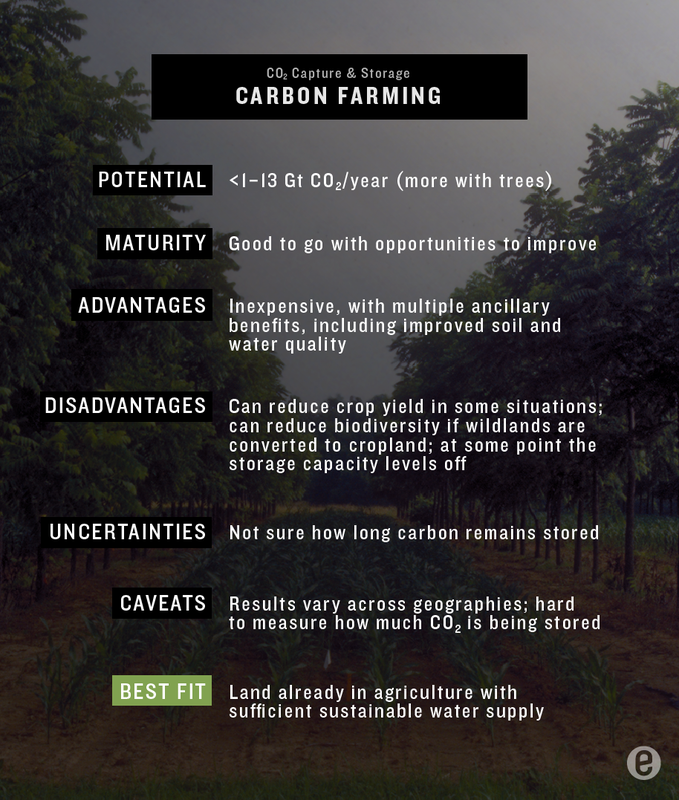 Soil’s carbon-storing capacity could go even higher if research initiatives by the Advanced Research Projects Agency–Energy, a U.S. government agency that provides research support for innovative energy technologies, and others aimed at improving crops’ capacity to transfer carbon to the soil are successful. 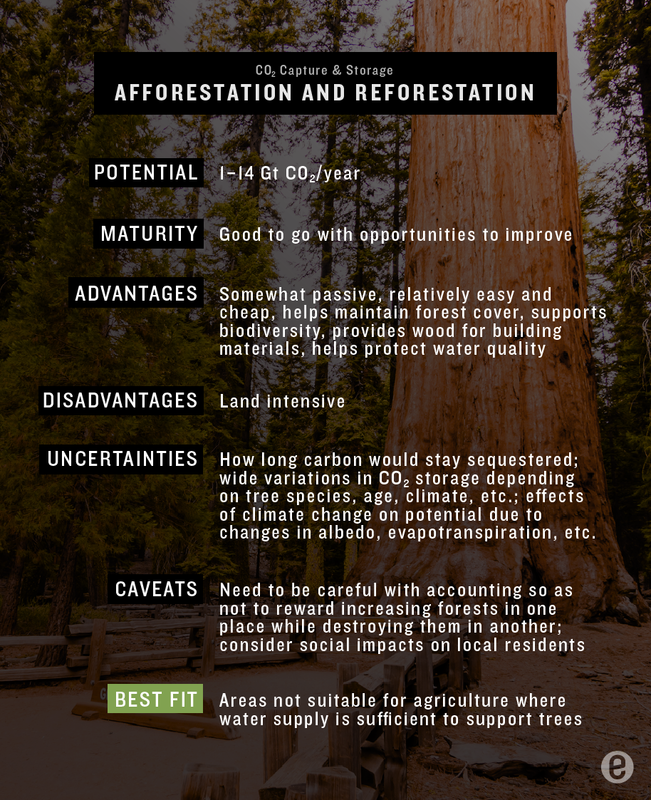 And, points out Eric Toensmeier, author of The Carbon Farming Solution, the capacity of farmland to store carbon can be dramatically increased by including trees in the equation as well. Photo licensed under Creative Commons. Click image to enlarge. Photo © iStockphoto.com/MorganLeeAlain. Click image to enlarge. Photo courtesy of Oregon Department of Forestry. Click image to enlarge. Image © iStockphoto.com/Dushlik. Click image to enlarge. Photo courtesy of Ari Daniel for PRI’s The World. Click image to enlarge. 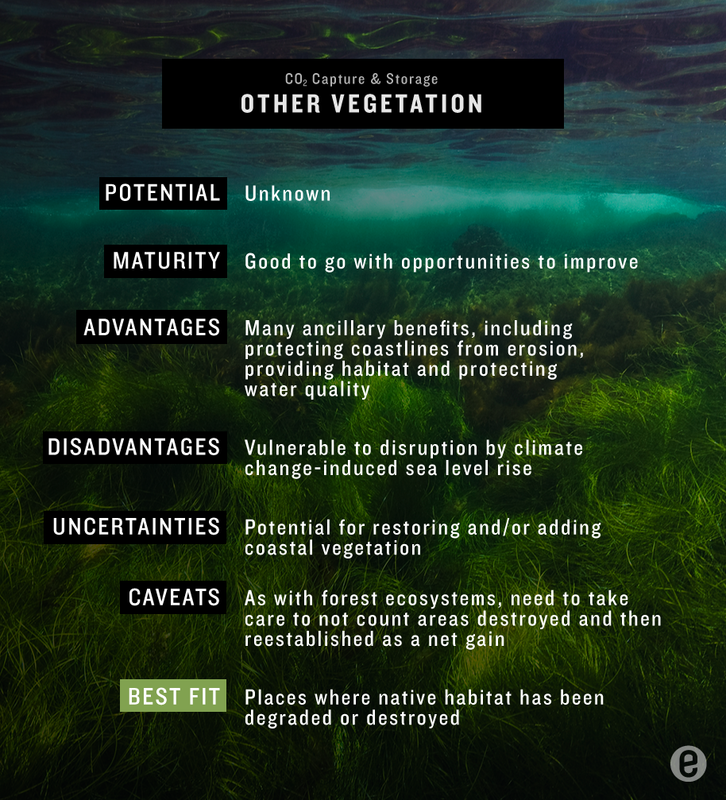 UPDATED 7.19.17: The description and disadvantages of coastal vegetation carbon storage were updated. Unfortunately Co2 is not the only gas which affects climate change. Other gases are Methane (CH4) , N2O and Flourinated gases such as CFCs . How do we capture these? How does one capture all co2 generated from all modes of transportation... of which co2 emissions are highest ? The few pilot plant co2 capture projects are power plant based. And this comes to an expense as Co2 capture decreases the plant efficiency. This article ignores the IPCC fact that already in 2000, the world passed the amount of CO2 for 2 degrees global warming. Oceans delay the temperature passing 2 degrees for about 30 years. So it is already a fact that around 2030, we will pass the 2 degrees global warming. This means we need to become CO2 negative. 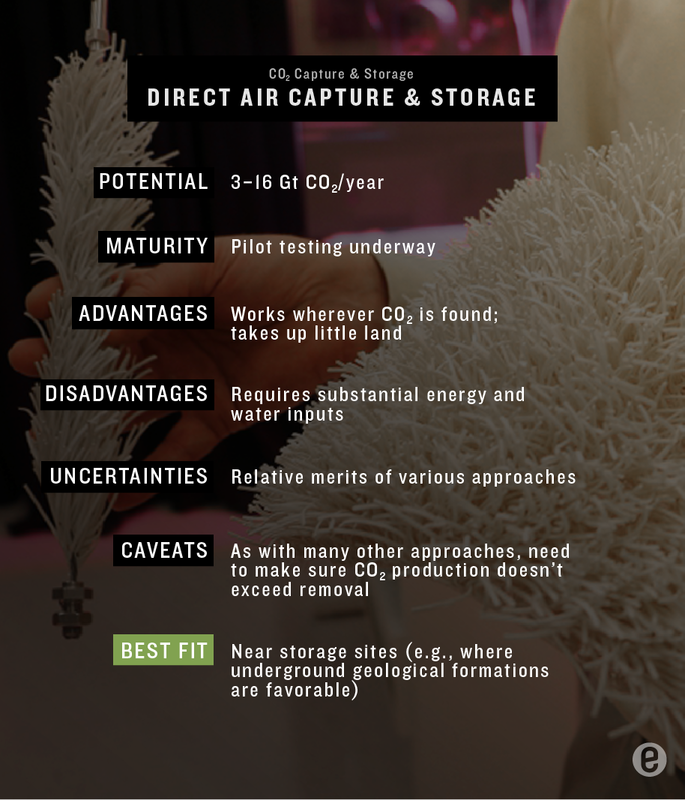 As an engineer, I think a combination of the technologies and strategies is necessary and also works best to speed up capture and fixation of CO2. Fossil power plants produce CO2 in very high concentration, so that is where CCS2 must be made mandatory, for all 3000 power plants in the world. Because CCS2 is BAT, Best Available Technology. So, Peter Frumhoff from the Union of Concerned Scientists is wrong when he states that there is no technology. There is, but it needs to be made mandatory. Accompanied by a minimum price of 50 to 100 EURO per ton CO2. So it will be cheaper for power plants and other big emitters, to apply the CCS2 technology. 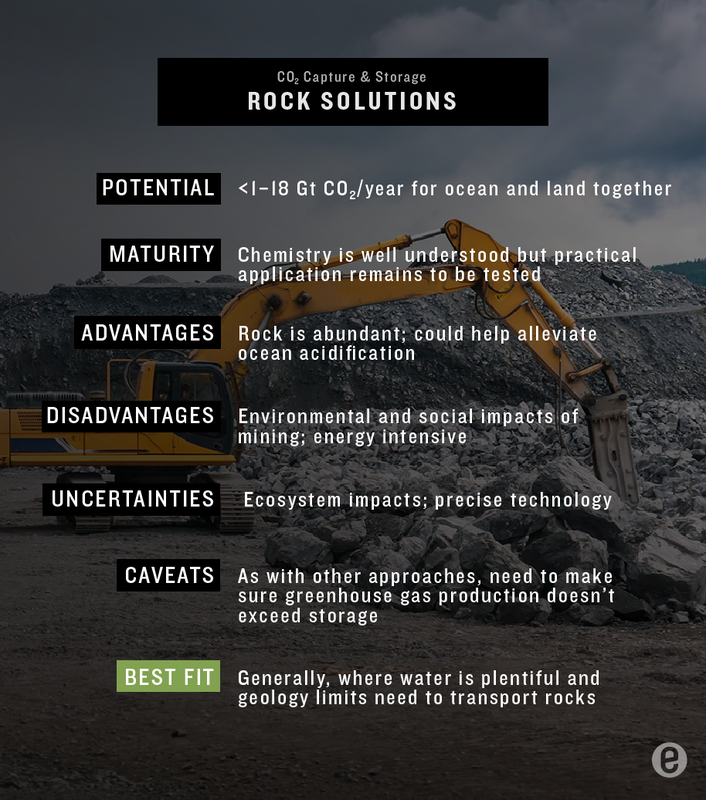 CCS2 captures CO2 from the smoke stack, and converts it to a substance with a chemical reaction with the mineral Olivine. 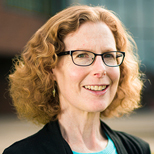 There are ways to speed up the reaction process to practical levels. This does not need energy, as the article states, the reaction produces a lot of energy, about 20% of the burning of coal produces. Coal plants have mills to convert coal to a powder. The same mills can be used to convert Olivine rock to a powder too, part of the solution to speed up the reaction. A coal power plant with this type of CCS2, can have the same fuel efficiency as a modern coal power plant without CO2 capture. But mandatory CCS2 is only half the story and policy. 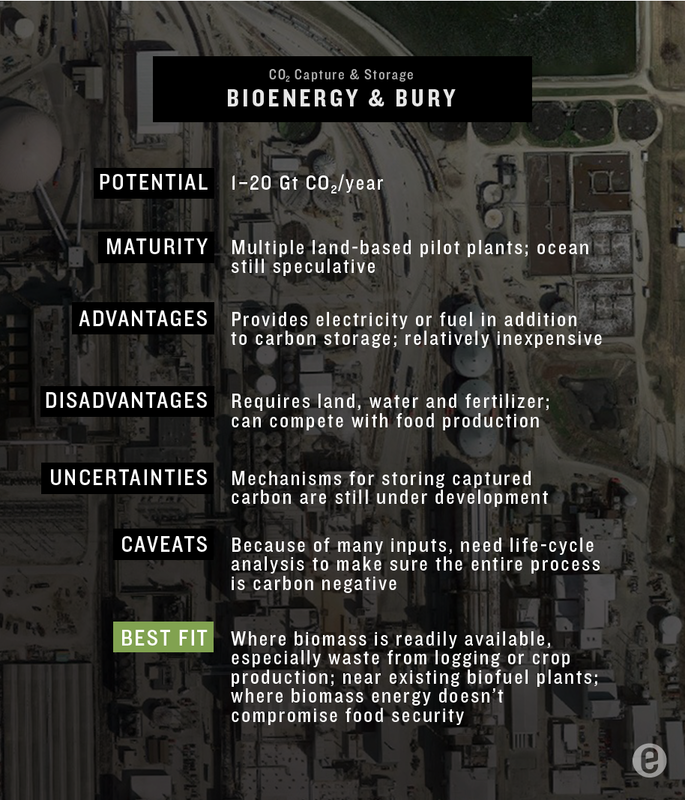 The climate neutral power plants need bio-based fuel, that contains just captured CO2. New biomass and then bio based fuel, must be produced. Farming in places where it is not done now, or much more efficient farming. EG on the coast of Northern Africa. 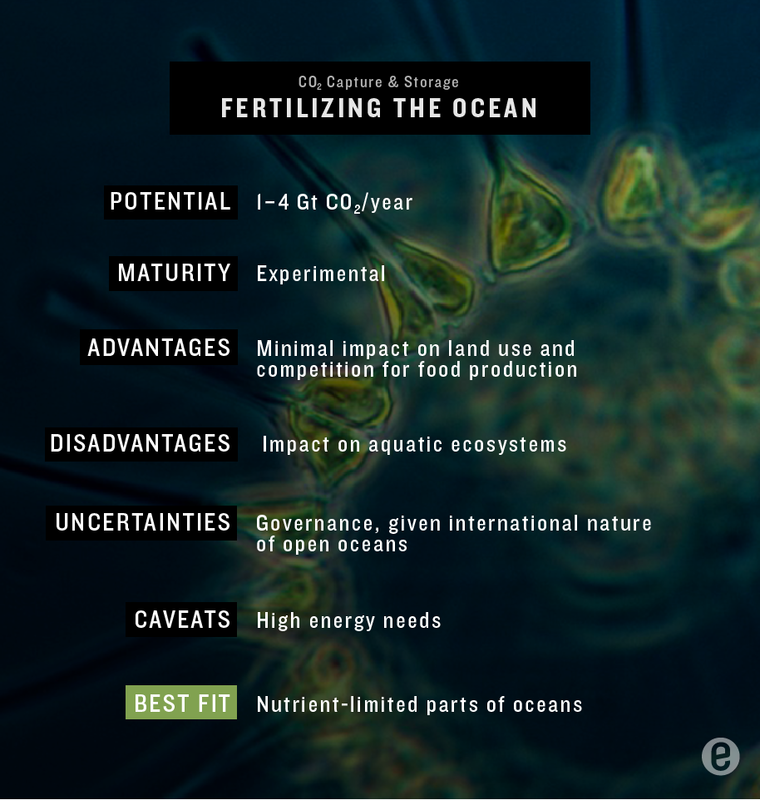 There is wind and sun to desalinate sea water, and use it for farming. But scientists need to get funding and projects to develop these new ways of farming biomass for energy, without impacting food production. The main point is that we need better regulation, to make the development and application of technology possible. The environment needs to be cleaned up. I am excited about the containers that can take a hundred milion worth of Co2 out of the system per day. My concern is if we stop using carbon fuel does the system have a cut off point, so that we don't have to reinvent the wheel? Talk about avoiding the obvious. Regenerative organic agriculture does not depend on new tech, just switching to natural organic processes—this alone would remove CO2 from air while making our food much healthier. I like the approach Paul Hawken used for his book "Drawdown" - do the math! It ranks the solutions in order of impact and when available, ran the numbers to calculate the cost and the savings. Smart. 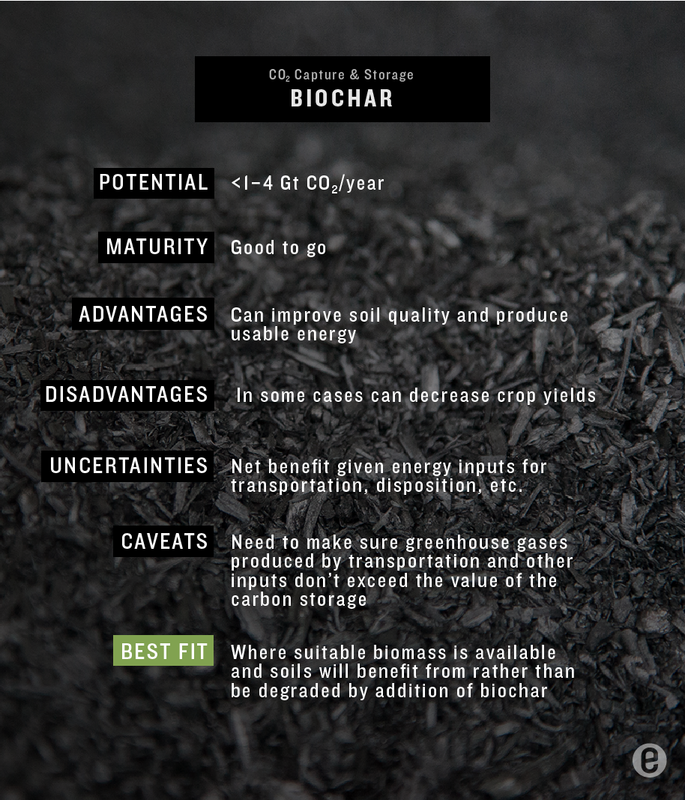 Today I registered my interest in ensia and searched for Biochar. It was great to see the latest article on the Stormwater treatment potential research trials and investigations article. The next one was the above article from 2017.